I know. A day late. I actually forgot all about it! Things have been pretty busy in my mind lately, working on some new projects, making some new connections. Here was the past week! (minus Monday because I'll post that next week). This is my makeup routine. 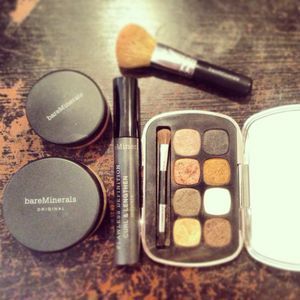 bareMinerals is the only makeup I will use. I didn't really use makeup too much until last year. Before that, I wore a little blush and mascara. No foundation, almost never wore eyeshadow. I still don't wear eyeliner. I love the "natural" look, so wearing neutrals are my favorites. Joined Planet Fitness! My running has been very limited because I don't like to run alone in Hoboken so a gym membership was honestly, the easiest way to go. And it is only 2 blocks from work so I go after work most days. 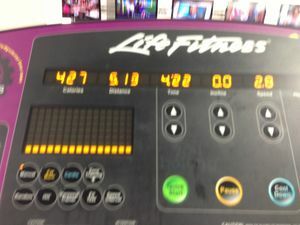 Sorry for the blurry picture, finished a 5 mile run and tried to snap a shot but it didn't go so well. 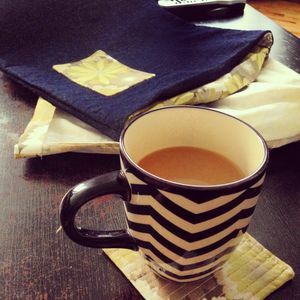 I've talked about getting in moods of "un-motivation" and had one of those moments. Decided to make coffee and get to work! Just do it! 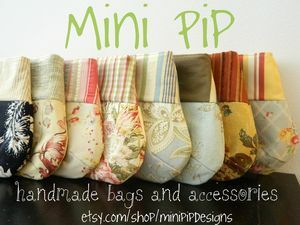 Finished up two tote bags which will be photographed later. 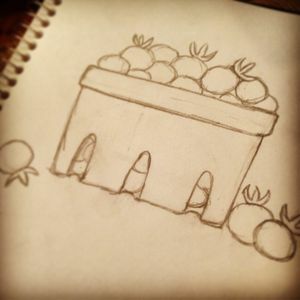 Working on sketches for a new project. This has been an idea in the making for a long time and it's come to a point where I need to work on this. Can you tell it is farm related?? My family is going to do a craft show in October. I have extended family in Vermont and the plan is to have all the proceeds donated to charity. I decided to make some of my simpler products that don't require a tremendous amount of hours to put together. It is easier on me, since I will be getting ready for two shows within the next couple months. 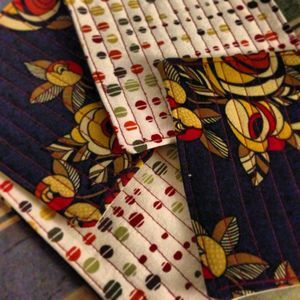 This picture is a set of coasters I finished for Vermont. 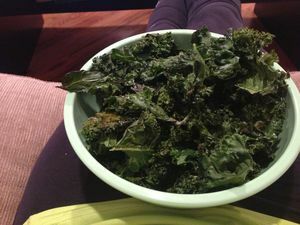 Made a bowl of kale chips. I'm not very adventurous when it comes to cooking and chips are the best things to make with kale. SO. GOOD. Back on the farm. 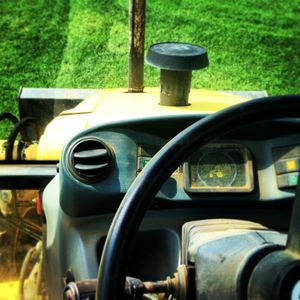 No, I didn't drive any machinery, but I thought it was a pretty cool picture. Another little project I was working on. I'll definitely post more about this when the "official" word comes out. September looks like it is going to be a very busy month. Can't wait to share my future projects!